Grab BAD APPLES 2 for 99¢! 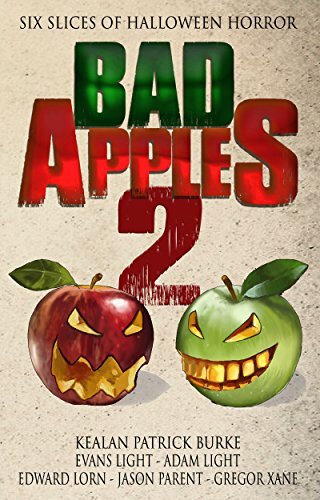 I recently announced (several times at various locations on the internet) that I have a new story in an anthology called Bad Apples 3: Seven Slices of Halloween Horror. Since making this announcement, I came to the realization that folks may not be fully aware that I also have a story in a similarly-titled collection called Bad Apples 2: Six Slices of Halloween Horror. In fact, this collection contains a full-length, extra-meaty novella I wrote called Doctor Proclivity & Professor Propensity. 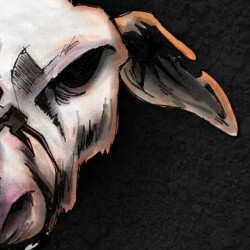 Well, it just so happens that recently I was informed that you may go to Amazon (an online store) and download this piece of fiction--along with 5 additional Halloween tales--all for the absolute lowest price allowed: $0.99! If you like it, you may want to give the original Bad Apples or Bad Apples 3 a try.